Sorry I've been gone a few weeks but I've been on the go! My AAU team has been on the go for the last 3 weeks. We started out at the Summer Championships in Mt. Vernon, NY. I played up in 15u. We lost to Team Scan in the championship. I didn't play well and I know if I had played better we would have won. So that was a tough loss for me. Next we went to Summer Classic East in Philly. I played 15u again and we lost in to the Jersey Playaz in the semi final. I played better, but I still could have done more to make us win. Finally, we played in the Hall of Fame National Invitational in Springfield, MA. We got to avenge our loss to the Jersey Playaz and that felt great! And it set up a championship rematch with us and Scan. This was one of the best games of the entire season. We ended up losing in OT 72-70. But I was back to my normal self and got into the lane whenever I wanted. Even though we lost, it was a battle and both teams left respecting each other. Unique, Tremont and the rest of that team are great players. It takes both teams best effort to win. I love competing at that level! It makes me better and I feel it! Up next, my brother and I have been selected to participate in the Chris Paul Camp down in Charlotte next week. That's an honor because not everyone gets those opportunities. 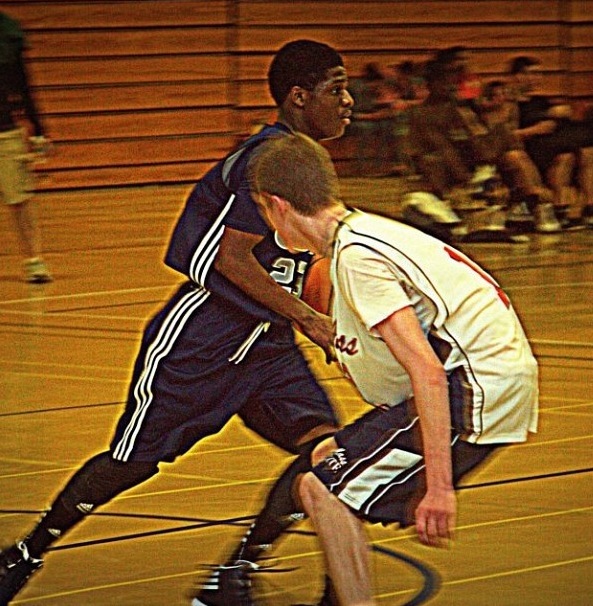 I look forward to proving myself against the other top guards in class of 2017. Basketball Spotlight has prepared me for that. Also, after going against so many skilled guards during live period, I feel like I'm ready for anything! I will keep y'all posted...peace!